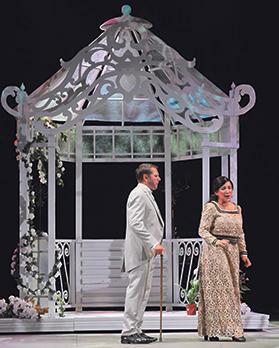 Albert Storace reviews the recent production of La Traviata by the Astra Theatre. 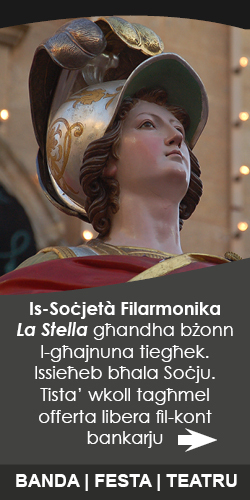 The brief opera spell in Gozo came to an end with the performances of Verdi’s La Traviata at the Astra Opera House. Under review here is the second and final performance which was very well attended. 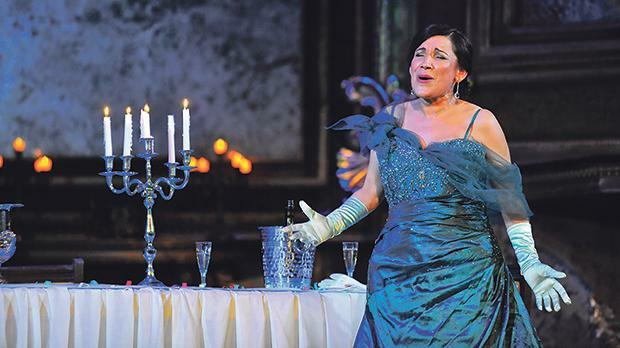 La Traviata is a much-loved masterpiece which has stood the test of time. Hardened cynics would say: “Oh that woman gone astray, again!” However, even they could not remain immune to the very human story of love, sacrifice, and anyway, of a woman doomed to die in the prime of life. Astra’s production had the necessary ingredients to make this latest endeavour a very successful event. Baritone Maxim Aniskin and Miriam Cauchi. Chorus mistress Maria Frendo’s hard work bore the usual fruit: a large chorus which sounded simply brilliant, cohesive and on cue in all ways and moods, swell-controlled yet expansive. Violetta must be considered as one of Verdi’s pet creations because he bestows so much on her but also exacts a lot from her. Miriam Cauchi seemed to live her part very well. She went from a frivolous, little courtesan (Brindisi) to a woman with real feelings in the duet Un dì felice and her great monologue È strano ….Sempre libera. Her love had to be sacrificed because of hypocritical social convention and without any sugary exaggeration Violetta’ farewell to Alfredo, Amami Alfredo, was simply heart-rending. Germont redeemed himself coming to appreciate the real Violetta – of course, too late. The mis-en-scène already re­ferr­ed was fine, lavish to boot. And, of course, one must not forget the costumes, ever so good and this time created by Arrigo Costumi. Felix Busuttil’s choreography livened up Flora Bervoix’s party in ACT II with the well-executed dance of the gypsy girls and that of the toreadors. Secondary roles creditably interpreted were those of Flora Bervoix (Oana Andra); Annina (Dorienne Portelli); Gastone (Frans Mangion); Barone Douphol (Louis Andrew Cassar); Marchese D’Obigny (Alberto Munafò Siracusa); and Dottore Grenvil (Riccardo Bosco). The minor roles were interpreted by Federico Parisi as Giuseppe, Mario Portelli as Violetta’s valet and and Marco Tinnirello as the Commissioner.